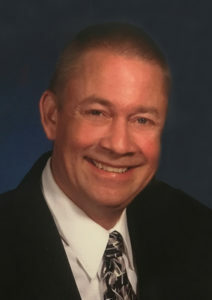 Wednesday, January 30, 2019 ~ 10:00 a.m.
Edward J. Lynch, 55, of Wahoo, NE, entered into eternal rest Thursday, January 24, 2019. He was born January 27, 1963 in Philadelphia, PA to Edward and Mary Ann (Adams) Lynch. Ed was a graduate of Cedar Grove Academy High School and LaSalle University in Philadelphia. He was united in marriage to Ann Noonan on December 28, 2001 in Bellevue, NE. He owned and operated Cornhusker Grill Cleaning and managed several restaurants over the years. He was an avid Philadelphia sports fan, he enjoyed cooking but most of all loved spending time with his family especially his boys, Michael and Shaun. Ed is survived by his wife, Ann Lynch; sons, Michael and Shaun Lynch; sisters, Lisa (Howard) Shumas, Valerie (Jerold) Levicoff; nephews, Edward, Alexander and Rob Levicoff; sister-in-law, Suzanne Noonan; brothers-in-law, Scott, John, Mark and Joe Noonan; nieces and nephews: Brad and Derek Sintek, Karie (Sintek) Schapmann and Tim, Marie, Logan, and Hannah Noonan; first marriage sister-in-law, Peggy (McCoy) Young; and mother-in-law, Peg McCoy. He was preceded in death by his parents, Edward and Mary Ann Lynch; niece, Wendy Levicoff; first wife, Shawn (McCoy) Lynch. Ann, Michael and Shawn. We are so so sorry for your loss and ours also. There are no words of comfort that we can say that can ease your pain. Just know that we will be here when you need us! Just wanted to share a memory that Jude will forever have of Ed. On Paige’s 21 st birthday the whole family went out to eat at Buzzard Billies In Lincoln. When we were done eating the waitress brought a dessert out for Paige, the waitress proceeded to set it aflame and we all laughed and one of the kids said “what kind of dessert is that?” Well Jude matter of factly said “ that’s Banana Foster, Ed has made that for us” ( meaning him ,Silas and Sam) Ed was quite the Chef, but not only a chef, he was also a Chauffeur, making the rounds picking up Michael’s buds and also a care taker. When the boys went over to your place we never worried cuz we knew that Ed would be there taking care of the boys and feeding them well. Paul was always interested in what Ed had cooked up for the boys. I think Paul was envious of the good eats that Ed would cook up for the boys . Our hearts ache!for you and your sweet boys. We are forever grateful for all that Ed has done for Jude. He fed him, gave him shelter practically ever weekend and was always there to watch over Jude . Our promise to you all is a easy one , we will never forget Ed and we will always be thankful for him in Jude’s life and that we can call him our friend. With much heartache. Renee, Paul and the whole family. Pleased to know Ed. Great guy and all! Thoughts to the family through this time, I know how you guys feel, prayers! Our deepest condolences, thoughts and prayers for your family on this great loss of a husband, father and brother. I new Ed through work at Aramark, ortho bio tech in Jersey. He was funny, driven and a pleasure to work with. After the Lynches went to Nebraska we did our best to stay in touch. Ed will be missed and there’s a hole in my heart for the rest of my life. Prayers to Ann and the boys. Happy Valentine’s Day, My Love! I miss your sweet sappiness! Your handsome boys have given me multiple hugs throughout the day. I miss you so much, but you are with me through them, and with them through each other! We patiently await that precious time when we will be together again.